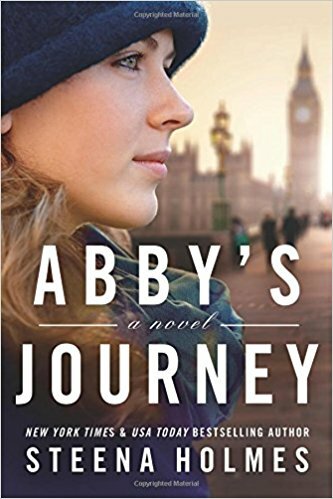 I am reading Abby's Journey as part of a blog tour for the author Steena Holmes. I think they contacted me because of my love of travel, and the character Abby travels to Europe to experience the Christmas markets. This story is about Abby whose mother died giving birth to her, and since Abby was premature, she has always had health issues. When her doctor gives her a clear bill of health, her grandmother whisks her away to Munich, Salzburg and Brussels so they can experience the Christmas markets, something Abby's mother always dreamed of doing. I've written this letter a thousand times (okay that might be exaggerating just a little, but I have written it a few times now). At first, it was a list of parenting tips, because that's what I do, I write lists. And then you would read it and memorize it, because that's what you do to humor me. But then I realized that I don't want the last letter I write to you to be solely a display of my inner control freak. But Josh, the list is a good one. It really is. So how about this -- I'll add it to the end of this letter on a separate sheet, so you can post it on the fridge or leave it on your desk, somewhere you can reference it when things get too hard. "Don't be afraid to dream great things -- things you think are beyond your grasp. Trust me. I know what I'm talking about. If I'd given up on my dream for a baby, you wouldn't be here. And honestly, I can't imagine that. I'll be reviewing this book on March 16 if you want to come back to see what I think. I think this book looks like a good one. Have seen some buzz about it and now I'd like to read it. I want to say that I've read at least one book by the author - need to go look. I'm very curious about this one. I love family secrets, and discovering them through letters. I'd love to read a story that features Europe's Christmas markets, even though this book sounds like it could be sad. 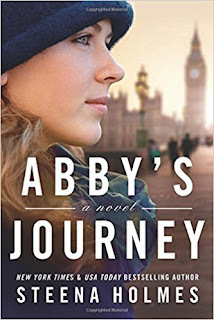 I'm adding Abby's Journey to my TBR list. Interesting. With time and age, I now would be interested in the grandmother's point of view--the unspeakable pain of losing her baby, and finding herself (? or does the father not involve her) with another. Love the author's sense of humor. Sounds intense to me, I would definitely keep reading. I would definitely read this book. The teaser is such a heartfelt statement. This seems like one of those books that are good for the soul. Kay, Sandra and Laurel, Always happy to see your picks for the week. Francetaste, Yes, I suppose this could be an entire other book from the grandmother's viewpoint. I read the first in this series too and the mother finds out she has a brain tumor while she's pregnant but refuses treatment until after the baby is born. I think that is kind of selfish too, leaving the baby without a mother. Diane, We never like the same books, but you can handle a lot more violence than I can. Just Me, Yes, this is a very reflective book. 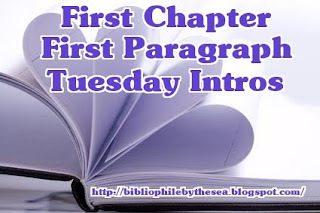 Tracy, Nice to meet you in the blog world and see your fantasy pick.